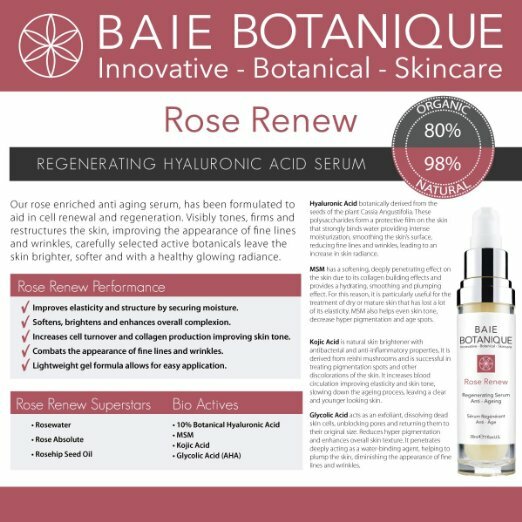 What does the Baie Botanique Rose Renew Hyaluronic Acid Serum do? The Baie Botanique regenerating serum has a lovely scent of rose petals and is designed to aid in cell renewal, regeneration and hydration. 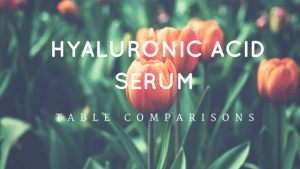 This hyaluronic acid serum is sold by Baie Botanique, whose primary goal is to create a powerful botanical skin care range loaded with natural ingredients at an affordable price point. A big improvement in your skin’s hydration. The elasticity and structure of your skin is improved. Increased cell turnover and exfoliation due to the glycolic acid. Increased collagen production due to the hyaluronic acid. Less acne blemishes and scarring. 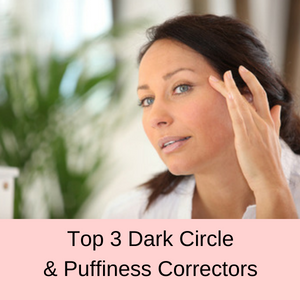 Softer, brighter and healthier looking complexion. Fewer fine lines ans wrinkles due to increased hydration and collagen production. Overall, your skin feels much softer, younger and more radiant when you include the Baie Botanique Rose Renew Serum in your morning beauty routine. Who should use Baie Botanique Regenerating Serum? 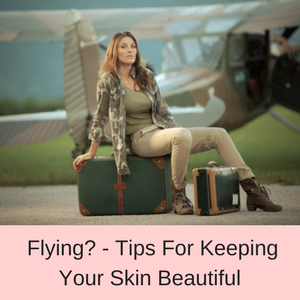 If your skin is looking dull and tired or you are noticing a few small lines appearing, then your complexion will certainly benefit from a boost in hydration and collagen production. Just increasing the moisture in your skin can make a huge difference in the feel and texture of your skin, all on its own. On top of this, if you have a few discolorations, maybe a few light sunspots or age spots, then the glycolic acid, MSM and antioxidants in the Rose Renewal Serum will help to minimize these and give your complexion a more even appearance. People suffering from acne or blemished skin can also benefit from using this fabulous serum, because the glycolic acid helps to exfoliate your skin, removing the debris and dead cells from the top layer of your skin. The MSM, which is a sulfur compound, also helps to reduce the effects of acne and heals mild scarring as well. How do you use the Baie Botanique Anti-Aging Serum? As with any facial serum, it is important to cleanse your face and neck area and pat dry before using this serum. All you need to do then is to apply a small amount of the Baie Botanique serum to your face and neck area and gently massage into your skin. Once the serum has absorbed into your skin (this happens quickly), you can follow with your favorite moisturizer and makeup. You can use the Rose Renewal Serum morning and night. The bio active ingredients in this lovey rose fragrance youth serum are plant based hyaluronic acid (10%), MSM, Kojic acid and glycolic acid. It also contains rose water, rose absolute oil and organic rose hip seed oil. 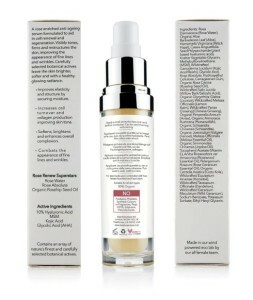 The Baie Botanique Age Regenerating Serum is 80% organic, 98% natural, cruelty free and is suitable for vegans. It is also free from parabens, Phthalates, Propylene Glycol, synthetic colors and fragrances, PEGS, EDTA, sulfates, and petrochemicals. Rosa Damascena (Rose Water), Organic Aloe Barbadensis Leaf (Aloe), Hamamelis Virginiana (Witch Hazel), Cassia Angustifolia Seed Polysaccharide (plant based hyaluronic acid), Kosher Vegetable Glycerin, Methylsulfonylmethane (MSM), Wildcrafted Ganoderma Lucidum (Kojic Acid/Reishi), Glycolic Acid, Rose Absolute, Hydroxyethyl Cellulose, Carrageenan Gum, Organic Rosa Canina (Rosehip Seed Oil), Wildcrafted Salix Lucida (Willow Bark/Salicylic Acid), Organic Glycyrrhiza Glabra (Licorice), Wildcrafted Melissa Officinalis (Lemon Balm), Wildcrafted Panax Ginseng (Chinese Ginseng), Organic Pimpinella Anisum (Anise), Organic Armoracia Rusticana (Horseradish), Organic Schisandra Chinensis (Schisandra), Organic Joeniculum Vulgare (Fennel), Melissa Officinalis (Melissa Essential Oil), Organic Simmondsia Chinensis (Jojoba Oil), Tocopheryl Acetate (Vitamin E), Aniba Rosaeodora var Amazonica (Rosewood Essential Oil), Pelargonium Roseum (Rose Geranium Essential Oil), Organic Centella Asiatica (Gotu Kola), Wildcrafted Equisetum Arvense (Horsetail), Wildcrafted Taraxacum Officinale (Dandelion), Wildcrafted Geranium Maculatum (Wild Geranium), Sodium Benzoate, Potassium Sorbate, Ethyl Hexyl Glycerin. Hyaluronic acid is sometimes called the fountain of youth, because it is a super hydrator and gives your skin a massive boost of moisture. It is a wonderful ingredient to use if your skin is looking dry or dull, because it plumps up your skin’s cells with lots of fresh moisture. The amount of hyaluronic acid in our cells reduces over time, which is one of the reasons why our skin becomes dryer as we age. So including hyaluronic acid is a great step in rejuvenating your skin. 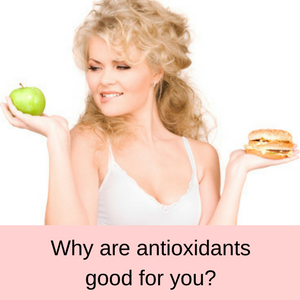 Hyaluronic acid is also essential for the production of collagen in your skin, so again, this is one of the reasons why our skin loses collagen and looks more lax with less definition as we become older. Once you boost your skin with hyaluronic acid you will not only be ramping up the moisture level, but also the production of collagen as well. 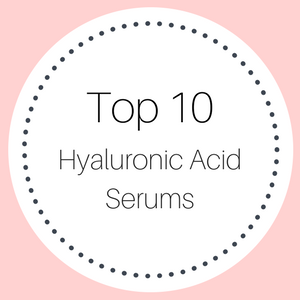 So your skin looks fresher, younger and healthier with a hyaluronic acid serum. MSM is a sulfur compound that helps other hydrating agents, like hyaluronic acid, to penetrate deeply into your skin where the moisture is most needed. 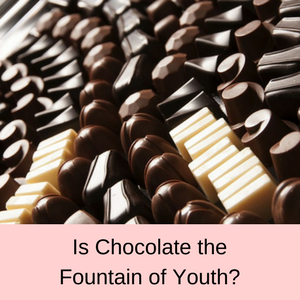 It is also essential in cellular repair, the production of collagen and has anti-inflammatory properties. Sulfur is an old remedy for acne and skin blemishes, helping to clear the skin and reduce mild scarring. It is also helpful in reducing pigmentation problems, such as age spots, sunspots and other hyper-pigmentation issues. Kojic acid is an exfoliant that helps to remove the dead cells from the outer layer of your skin and encourage new cells to grow. 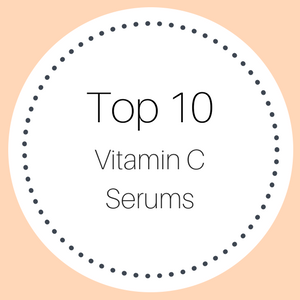 It can also help to lighten your skin and reduce the appearance of acne scars, freckles, melasma and other skin discolorations. Kojic acid also has antioxidant and anti-bacterial properties and helps to reverse the signs of aging and discoloration in your skin, caused by exposure to the sun. Many people prefer to use Kojc acid rather than hydroquinone to lighten their skin, because they can be sensitive to the latter ingredient. 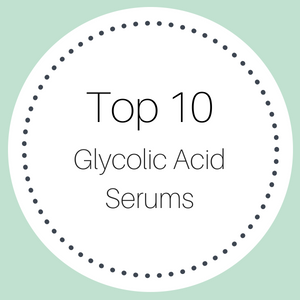 Glycolic acid is the smallest of the alpha hydroxy acids, so it can easily penetrate your skin. All alpha hydroxy acids are exfoliators, so along with Kojic acid, glycolic acid helps to remove all of the debris and dead cells from your skin, which can cause blackheads, white heads and acne. 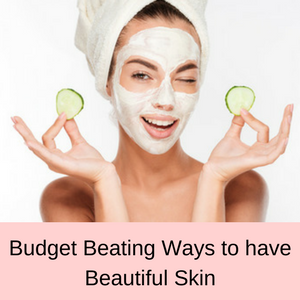 A build up of debris on your skin is also one of the reasons that your skin may look dull and unhealthy, so a good exfoliation can do wonders for the look and feel of your skin. Rosewater was used apparently used by Cleopatra and women have been adding rose petals to their bathwater for centuries! Apart from the wonderful fragrances of rose petals, rose water helps to maintain the correct pH of your skin, aids in fighting acne and helps to heal fine scars. Rose water is also known as a natural hydrator, helping to add moisture to your skin, and it has anti-bacterial and antioxidant properties.So rose water helps your skin to look and feel softer, smoother and blemish free. Rose Hip is a wild plant that grows in Chile and is extremely high in essential fatty acids, antioxidants and vitamins C and A, and contains linoleic acid as well. 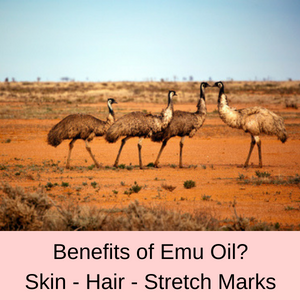 It has been used for centuries for it’s healing properties and was even used by the Ancient Egyptians. Rose Hip Oil is perfect for reversing the signs of UV damage in your skin, for hydrating your skin, healing fine scars and reducing age spots and minor pigmentation problems. 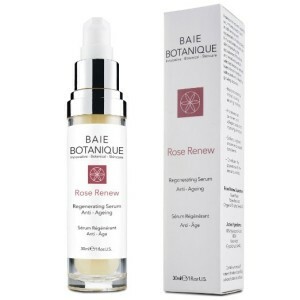 With more than 96% of online customer reviewers giving the Baie Botanique Rose Renew Serum a 4 or 5 star rating, you know you are onto a good product. This is an excellent product. I use the serum and skin cream together, twice a day, and noticed an improvement in my skin almost immediately. Wonderful product, absolutely love it! Really great customer service too. This serum has helped bring much needed moisture to my face. I apply before my moisturizer and it does help keep my skin stay hydrated through the day. Beautiful scent too! re-ordering my third bottle soon! Excellent product. Works brilliantly. My lines are less visible and my face looks fresher, younger. Their customer service is fabulous. Australian shipping: This product do not ship directly to Australia – see my shipping guide for easy shipping options. 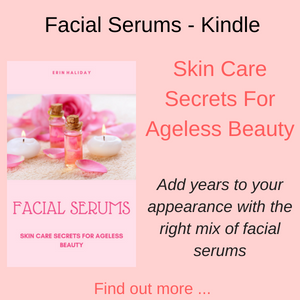 This is a fabulous serum with a lovely fragrance and is chocked full of antioxidants, as well a hyaluronic acid, collagen boosters, skin lighteners and exfoliants. It is organic and natural, is suitable for vegans and is free from many of the chemicals that are contained in some other facial serums. 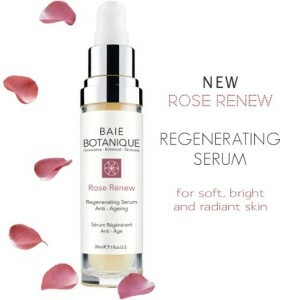 If you want an affordable facial serum that gives you a fresher, healthier and more radiant complexion, then the Baie Botanique Rose Renew Serum is definitely worth including in your beauty routine. To read more hyaluronic acid serum reviews, click here.